Lewes Delaware Condos & Townhomes. There are currently 92 Lewes Delaware Condos Townhomes for sale. 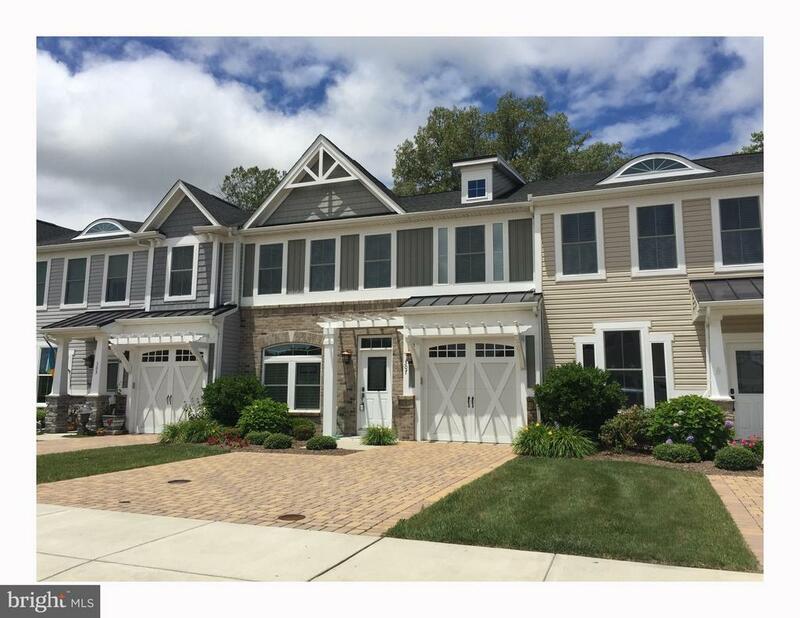 We are your Lewes Delaware real estate specialist offering ALL Condo & Townhome sales Lewes Delaware Real Estate For Sale. Selling? Be FIRST to have YOUR PROPERTY FEATURED on Lewes #1 real estate website. Enjoy watching beautiful sunsets, the Cape May/Lewes Ferry and at time the Kalmar Nyckel, Delaware's Tall Ship sail across the mouth of the Delaware Bay right from your patio table on second floor deck, living room or even better views from the master bedroom. This 3 bedroom, 2.5 bath townhome offers large eat-in kitchen with a barbeque on the attached deck, dining area, first floor bedroom, laundry room and powder room, third floor master bedroom, third bedroom and full bath. Enjoy swimming at the beach or community pool, playing tennis or fishing from the community fishing pier! There is a brand new bike path just across the street which can take you to Cape Henlopen State Park or to downtown Lewes, and by riding over to Breakwater trail you can bike all the way to Rehoboth Beach! Please note that 16 Port Lewes has been used as a rental iestment property for many years and that several weeks are already booked for summer of 2019! Looking for instant rental income? That is also negotiable! Unit comes fully furnished with the exception of some minor personal effects and photos! Call to schedule your showing appointment today!! MAKE YOURSELF AT HOME. Relaxing is easy amid low-maintenance luxury! Enjoy a great floor plan that offers 3 levels of spacious living with 5 bedrooms, all with large walk-in closets, including two first-floor bedrooms, a second-floor master, and third floor with 2 additional master suites! Take in views from your second-floor deck & screened porch overlooking a community pond, and entertain with ease from the second floor main living space complete with an upgraded kitchen that is open to the dining room & iiting living room with gas fireplace. Along with 3 levels of generous accommodations, this property is one of the only townhomes in Breakwater with a 2-car garage. Fantastic beach house, year-round home, or rental iestment! Close to downtown Lewes and the beach, and within walking distance to community pool, fitness center, and Junction Breakwater Trail! Call Today! R-10869 This beautiful end unit has so much to offer! With hardwood floors, spacious bedrooms and a new roof installed in 2017! The cozy loft can be used as a rec room or extra sitting area, living room is equipped with a gas fireplace and the first floor offers a bedroom with full bath. The unit is situated on the pond with a rear screened porch to enjoy the view!! Location, location, location! Newly renovated condominium, found in a highly desirable location along Lewes canal. Enjoy breathtaking views of the marina and harbor from any of your three decks as boats sail by and the sun sets across the water. Just a short walk to Lewes Beach or across the bridge to the historic town of Lewes with charming shops and eiable restaurants. As the largest unit in the building, it offers three bedrooms, 2.5 baths, two dining areas with ample views of the water. The facility also has a pool on site with shower and additional storage space for all of your beach amenities. Please note that 102 Lewes Harbor has been used as a rental iestment property and currently has rental weeks booked for summer of 2019. Summer rentals will be listed on showingtime prior to the beginning of the rental season. Also, in order to build up the community reserve at Lewes Harbor, owners have agreed to pay and are currently paying an additional fee equal to HOA fee. This is a temporary measure and NOT a permanent change to HOA fee (HOA fee listed is the current HOA fee, not including this extra fee being paid). HOA includes flood insurance, hot water for the building, pool maintenance and more! Call or schedule an online showing appointment today! This rare to the market property in the highly sought after community of Canary Creek is a must see! An east of Route 1 location affords you all of the coeniences, area amenities and charm that Lewes has to offer, just steps away.Located within the city limits, this friendly community is one of the best kept secrets in historic Lewes. Walk or ride your bike into town, with its award winning locally owned restaurants, delightful boutiques, coffee shops and art studios. This meticulously maintained town home features high ceilings, glistening hardwood floors and an abundance of natural light. Upgrades abound, including granite countertops throughout, cabinetry and hardwood flooring and carpeting, as well as custom tiling in the kitchen and all baths. The first floor master suite boasts a dramatic tray ceiling, generously large walk-in closet and a luxury bath. Upstairs offers a large loft area, two guests rooms, a full bath and a substantial storage area. An end unit villa means that you have a bonus side yard, more windows and a two car garage - a true stand out property. Be among the fortunate few who call Lewes home. Enjoy the famous Historic Lewes Farmer's Market on Saturdays and explore the beaches of Cape Henlopen State Park and Lewes every day! Just around the corner from the new dog park and Great Marsh walking trail, this welcoming community offers the opportunity to stay active, to get outside, and to take advantage of all this iconic, waterfront town has to offer! Beautifully maintained townhome in Breakwater! Featuring a bright open living space that overlooks a pond with fire place and breakfast nook. Kitchen features a gas range, stainless steel appliances, built in microwave, breakfast bar, and wall oven. Luxurious Master bedroom with en suite bathroom with tiled shower, tray ceiling, walk in closet, and sliding glass door that leads to a balcony with pond views. Great location east of Coastal Highway with easy access to downtown Lewes and Cape Henlopen State Park. Just moments from downtown Lewes, Coastal Club is an extraordinary resort destination, situated around a 42-acre nature preserve with a 5-acre pond, bordered by rolling woods and offering amenities unlike any other community in the area. Planned amenities include club house, fitness center, outdoor pool and indoor pool, tennis, walking trails and much more! The Monocacy offers the coenience of a first floor owner's suite. This open floor concept is an entertainer's dream. The designer kitchen includes a large granite island, stainless steel appliances and plenty of cabinetry for storage. The attention to detail continues upstairs with 2 bedrooms, a loft, and full bath with double vanity, perfect for company. Also features a large unfinished storage area. On-site unlicensed salespeople represent the seller only. Iestment opportunity. 2 units A & B side by side with year round rental potential. Currently rented. Location, Location, Location. There is a reason this home is priced higher. You are East of Route 1. You can walk and or bike to town. You are minutes from shopping, restaurants, doctors offices, the Ferry and THE BEACH. You don't have to sit in traffic from this location. You can walk to the Farmer's Market on Saturday morning. Charming, downtown Historical Lewes has been named the most beautiful medium size town in the world. From this location bike to downtown Lewes for a cup of coffee and our famous ooey gooey cinnamon roll. There are also longer walking and biking paths through the University of Delaware Marine Science campus 5 minutes away. Nearby Cape Henlopen State Park offers 600 acres of walking, biking, miles of sandy beaches along the ocean, surf fishing, and even S'mores and camping . This home includes a 3 season porch to enjoy rainy days and cooler temperatures in comfort. Room can also be coerted into living space if so desired. Lawn Maintenance/Snow Removal included in HOA dues. Stainless Steel appliances. Microwave doubles as an Advantium oven. Structural warranties still in place. This home offers first floor living with Master Bedroom and Laundry on First Floor. Your guest(s) will enjoy 2 bedrooms and a full bath plus a loft on the second floor. New Dog Park 10 Minutes away. Own a Boat? Public Boat Ramp is 10 minutes from this location as well as Freedom Boat Club where you get to take a boat out for the day and someone else takes care of EVERY thing else. Neighborhood social committee will keep you busy throughout the year with a variety of meet and greets and other events outside of the community. Buy today and be living here in 30 days or less. FANTASTIC LOCATION!!! Beautiful townhouse in the charming community of Canary Creek. 3 bedroom/2.5 baths. Gourmet style kitchen with stainless wall oven/microwave, gas cooktop and granite counter tops. Additional sitting room off back of great room with hardwood flooring through out. Walking distance to all downtown Lewes has to offer in a low maintenance, turn key home ready for your enjoyment!!! The Lafayette model Home in the newest active adult community in Lewes, Delaware.~ Located east of Route 1, approximately 4 miles from Downtown Lewes, and coeniently situated along the new Georgetown-Lewes hiking and biking trail for direct access to downtown and the beach, Covered Bridge Trails is in a prime area of shopping, dining, entertainment, and activities all year long. Homeowners enjoy several private community amenities designed to foster engagement and healthy living, including:ClubhouseSwimming PoolDog ParkTot LotWalking Trails~and direct access to the~Georgetown-Lewes~hiking trailPickle Ball CourtsCovered Bridge Trails features 6 distinct coastal-inspired single family homes & villas with open concept living and first-floor owners suites, designed to fit your ideal lifestyle.~ Each home at Covered Bridge Trails features~Everything Included~, meaning luxury features like granite and quartz countertops, wide-plank flooring, stainless steel appliances, home efficiency and automation features, and designer cabinetry - to name a few - all come at no extra cost to you.~"On-site unlicensed salespeople represent the seller only." Today's Incentive: Save $20k of the base price and $5K towards closing! Base price includes lot cost. Premiums may apply. An amenity-rich resort lifestyle for minimal cost. The gated community of Coastal Club is Lewes' first community filled with fun for everyone! The clubhouse includes a yoga room, exercise room, bar, kitchen, game room and so much more. Indoor and outdoor pools, bocce ball, tennis & pickle ball courts, tot lot and picturesque bike trail along Gosling Creek. The outdoor pool is an infinity pool with a swim up bar overlooking 42 acres of wildlife. And a dog park for your furry friends! The Hatteras twin home offers a first floor owners suite and numerous options including additional bedrooms and bathrooms, living area extensions, luxury owners suite, home theatre, multi-level courtyard, and much more. Photos are of a model home. Contact the sales team today! On-site unlicensed salespeople represent the seller only. The newest active adult community in Lewes, Delaware.~ Located east of Route 1, approximately 4 miles from Downtown Lewes, and coeniently situated along the new Georgetown-Lewes hiking and biking trail for direct access to downtown and the beach, Covered Bridge Trails is in a prime area of shopping, dining, entertainment, and activities all year long. Homeowners enjoy several private community amenities designed to foster engagement and healthy living, including:ClubhouseSwimming PoolDog ParkTot LotWalking Trails~and direct access to the~Georgetown-Lewes~hiking trailPickle Ball CourtsCovered Bridge Trails features 6 distinct coastal-inspired single family homes & villas with open concept living and first-floor owners suites, designed to fit your ideal lifestyle.~ Each home at Covered Bridge Trails features~Everything Included~, meaning luxury features like granite and quartz countertops, wide-plank flooring, stainless steel appliances, home efficiency and automation features, and designer cabinetry - to name a few - all come at no extra cost to you.The Jefferson model with wide open first floor living! "On-site unlicensed salespeople represent the seller only." This pristine 3 bedroom, 2.5 bath villa is located in Lewes, on a quiet street in Bay Crossing, the 55+ community, east of Rte 1. The home is designed for a comfortable lifestyle with a first story master bedroom and spacious full bath with walk in shower and soaking tub. The open floor concept in the family room, with an iiting fireplace and soaring ceiling, spans out to include a dining area and fully equipped kitchen. For special occasions, there also is a formal dining room as well. Upstairs are two large rooms for guests or hobbies and a full bath. Play tennis, pickle ball and bocce. Swim in the pool near the clubhouse or, in the clubhouse, play pool, bridge and other table games, or workout in the fitness center. Join the golf and bowling groups. Informal Fun Fridays, game nights, summer luaus, holiday parties, more formal galas and many other events are constantly iiting you to fun-filled evenings. Enjoy Travel Club sponsored bus trips to destinations as close as Longwood Gardens or cruises to as far away as South America. You will love being somewhat off the beaten path but close enough to enjoy all the beaches, shopping, dining and other attractions the area has to offer. HOA fee includes lawn mowing, fertilizing and weed control, irrigation, snow removal, trash & recycling pick-ups, shrub bed mulching, shrub trimming, community pool, tennis, pickle ball, and bocce courts, fully equipped fitness center, game room and rec center. You will love being off the beaten path but close enough to enjoy all the beaches, shopping, dining and other attractions the area has to offer. Electric hot water tank replaced in 2019. New asbestos shingle roof installed in 2017. JUST REDUCED $15,000.00 - PRICED TO SELL! COASTAL CLUB RESORT: ~Recently AWARDED "COMMUNITY OF THE YEAR"~ FOR BOTH SUSSEX COUNTY AND THE STATE OF DELAWARE! Have your cake and eat it too at Coastal Club! This proven rental produces nearly 10K for just 5 weeks of seasonal rentals which pays for ALL the Coastal Club fees including gas, electric, water and sewer leaving over 10 months of family time for you! Take advantage of the 2019 rental season with a 15-30 day settlement.Located just moments from downtown Lewes, Coastal Club is an extraordinary resort destination, situated around a spacious nature preserve with a peaceful pond, bordered by rolling woods. Spacious 3 Bedroom Villa Home featuring over $65k in upgrades with plenty of room for 8 guests. Home features an open floor plan with handicapped accessible first floor. Hardwood floors, efficient natural gas heat, tankless gas hot water and gourmet kitchen w upgraded appliances: gas range, granite countertops, stainless steel appliances, upgraded cabinets and much more. Turn-Key Ready for your furniture and access to the Coastal Club lifestyle. First floor features a master suite, family room, dining area, sun room and outdoor access to your new travertine patio that looks out over the woods and walking trail. Second Floor features 2 additional bedrooms, a loft gathering area and another full bathroom and a kids space / mini office space . Enjoy outdoor living at its finest.COASTAL CLUB: Begin your day enjoying the sights and sounds of nature along the three-mile Eagle view trail. Then take a dip in the incredible infinity pool (or NEW INDOOR POOL AND HOT TUB) and enjoy a cocktail at the only swim-up pool bar in Delaware. The Lighthouse Club is your hub for recreation and socialization, with a full time recreational director, state-of-the-art fitness center; an outdoor pool with swim-up bar and a water playground for the kids. The clubhouse features a fitness center with separate yoga studio, a coffee lounge, a grand bar with a professional kitchen and a game room. The Lighthouse Club features year- long enjoyment with many scheduled activities through the week. WHEN YOU VISIT COASTAL CLUB, BE SURE TO CALL THE CLUBHOUSE AT (302) 846-7757 SO YOU CAN TOUR INSIDE! Showing Time enabled. Price Reduced!!! Coastal Club- Resort Community voted "Community of the Year" for both Sussex County and the State of Delaware. This home features 3 bedrooms and 2 1/2 baths with master on the first floor. Master features tray ceiling, walk in closet and a nice sized master bath with separate shower and double sinks w/granite. Formal dining room, kitchen with granite, stainless steel appliances and breakfast bar. Living room and Sunroom complete the first floor. Upstairs there are 2 more bedrooms, a full bath and a loft area. Coastal Club has all the amentities you could ask for. Clubhouse w/bar area, recreation room, fully equipped gym, outdoor pool with swim up bar, indoor lap pool w/Jacuzzi, pickleball, walking trails, never leave this beautiful area. There is a one time $5,000 charge to join the Lighthouse Club and $450 per quarter fees. Unique to this neighborhood, this like-new 3-story townhouse is the only one for sale with a 1-car garage and golf course views from every level. The open-concept living area is highlighted by the kitchen with island and breakfast bar, granite countertops, creamy white cabinets and stainless steel appliances. Features hardwood floors, gas fireplace, and a sunporch off the living area with wraparound windows. The large master suite encompasses the entire 3rd floor with an en suite bath with double vanity, tiled shower and jet tub. The master~s private balcony presents a relaxing retreat. With 3 bedrooms, 3 baths, oversized walk-in closets, and several other storage closets, this home offers plenty of space and is move-in ready. This location provides the best of both worlds ~ the peace and quiet of being situated on a golf course with adjacent farmland, yet closely located steps to Route 1 for coenient shopping, restaurants, and a minutes drive to both Rehoboth and Lewes beaches. Don't judge a book by its cover you hear it all the time. This is one of those times it is true. Even though it looks like others on the outside the owners of this great corner unit had the interior custom done to their plans. Starting with moving the kitchen to the the rear giving easy access from the screened porch to the back yard for cooking out and quiet privacy. The interior is updated in all areas and the finished full basement offers a wet bar, room for a media area and more room for a game room. They did not forget about storage and added a closet under the stairs in the basement and another storage area they call the wine room. Large living room/ Dining area as you come through the front door, and a private second level loft sitting area for quiet personal time. Last but not the least is the sitting area off the kitchen with the fireplace which is perfect for entertaining. Minutes to everything the resorts have to offer. Don't wait to see the quality have a look for yourself and you may have just found your next home at the resorts. SUNSETS ON LEWES HARBOUR~ Breathtaking Sunsets from This Outstanding Recently Renovated 2nd Floor Beach Retreat. Fabulous Vacation Home with Vacation Rental Income & Returning Guests. Short Walk to Lewes Beach. Located in The Heartbeat of Lewes. Stroll & Explore the Historic District of Downtown Lewes. Bike to Cape Henlopen State Park or Rehoboth Beach, Relax at the Private Pool and End Your Day Enjoying Amazing Sunset Views Off Your Balcony Overlooking Lewes Harbor Canal & Marina. INCLUDED IN THE HOA is the Hot Water, Flood Insurance, Pool, Kayak Storage, Trash, Laundry Facility, Outside Lighting, Storage & All Amenities! This is a Perfect Waterfront Retreat! MOVE IN BEFORE SUMMER AND MAKE YOUR DREAM OF OWNING YOUR OWN WATERFRONT VACATION HOME A REALITY! 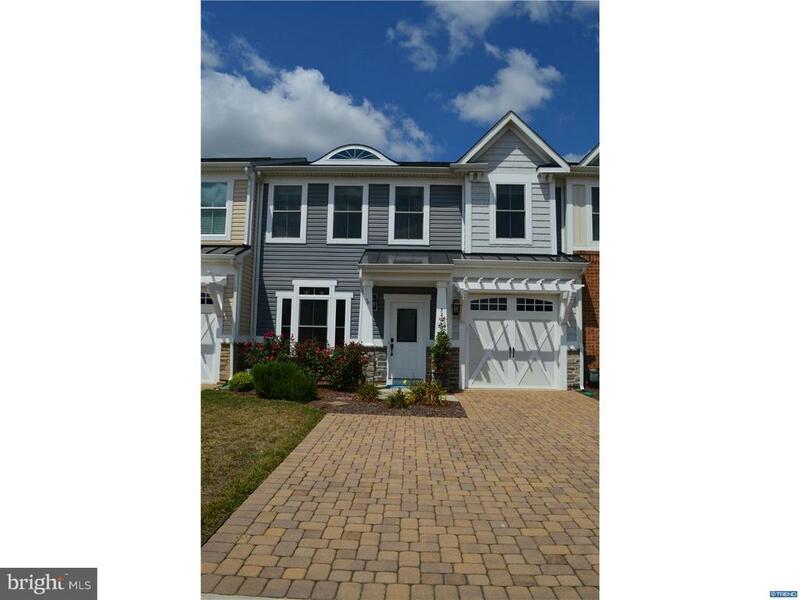 ENJOY THE VILLAGE LIFESTYLE Spacious 3 bedroom townhouse in the amenity-rich community of Villages of Five Points! Coeniently located within walking distance to the community town center, tennis courts, and outdoor pool. Home features an open & iiting floor plan with tile & hardwood flooring, eat-in kitchen, extra large third floor master suite with a huge walk-in closet, two additional second floor bedrooms, rear fenced in yard,and more. Just minutes away from the beaches and downtown Lewes, call today! Welcome to Eagle Point. A condo community coenient to the Delaware beaches! 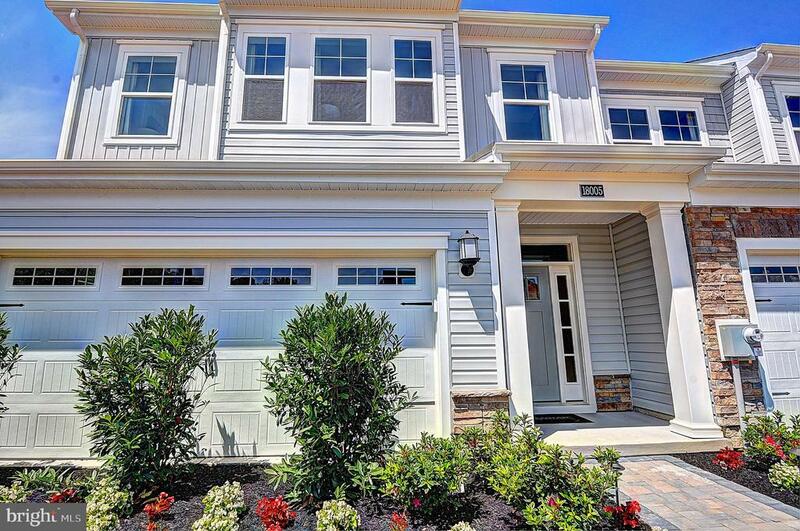 This light filled, end-unit townhome offers 4 bedrooms with 3.5 baths. Its spacious floor plan provides plenty of room for everyone. The updated eat-in kitchen boasts granite counter tops and newer appliances and flows into the open dining/living area with hardwood floors, powder room, loft ceiling and fireplace. A screened porch can be accessed through glass sliding doors with views of landscaped common areas. An owner~s suite with walk-in closet and remodeled luxury bath, round out the first-floor accommodation. Up the staircase are 3 spacious bedrooms, an open loft and full bathroom. The full finished basement has a third bathroom and loads of extra storage. It also includes a newly installed dry bar with granite counter top and bar stools. This home also uniquely offers a 2 car garage so be sure to bring the coertible!